ROMA: The Novel of Ancient Rome by Steven Saylor. Some images will enlarge when you click on them. Here it is: the famous Fascinum that looms so large throughout Roma. (Well, not the Fascinum, since this wingless example from Meaux, near Paris, is made of molten glass and dates from the First Century A.D.) Such charms were as common as dirt for hundreds of years, yet you almost never see them in museums. I wonder why? At the British Museum in London, they display a mere handful of examples...but I’ll bet you they own hundreds, maybe even thousands of them! The early Romans lived in huts that looked something like this. The Hut of Romulus was preserved as a shrine on the Palatine Hill for hundreds of years. Here’s a bird’s-eye view of what Rome may have looked like in the early days of the Republic. 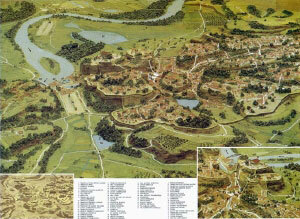 This way cool map is called Roma Arcaica, a publication of the Museo della Civilità Romana. 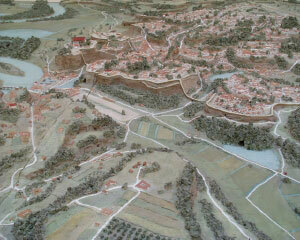 Another cool aerial view of early Rome; this is the model in the Museo della Civilità Romana. 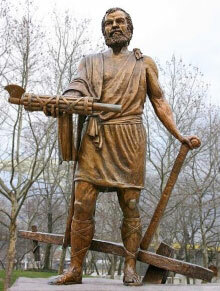 Resigning his office, the dictator Cincinnatus relinquishes the fasces and returns to his plow. 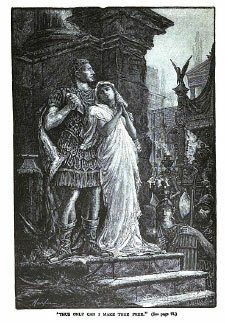 The tragic tale of Verginia, as depicted in a quaint etching from an old history book. 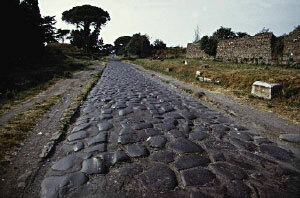 The Appian Way, brainchild of Appius Claudius Caecus, is still intact. From the National Gallery in London, this is “The Introduction of the Cult of Cybele at Rome” by Andrea Mantegna (1506). 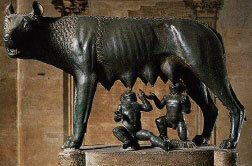 In 204 BC, the Romans imported the cult of Cybele from Pessina in Asia Minor. A priest wearing a Phrygian cap (and with a beard, though the galli were eunuchs!) 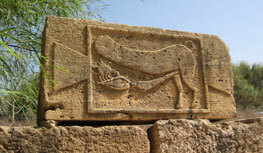 carries an altar bearing a bust of Cybele and her sacred stone, which fell from the sky. 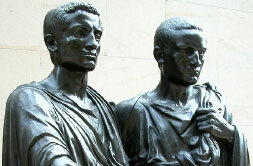 Scipio Africanus (just right of center, gesturing with his right hand) received the goddess. 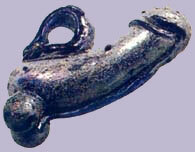 You can examine this image in minute detail at this page of the National Gallery site. a silver denarius minted in Cyrene by Lucius Pinarius (Scarpus) for Marc Antony.